Dear friends! Such an exciting moment! Drum roll … and heartbeat! We know that this information will please a lot of you, but it will also upset others. We are happy to congratulate all the authors who became “KROK-2018” participants, and we ask not to get disappointed those who won’t find their names on the list. The competition was really intense. The selection committee has chosen 132 films out of 1300. Each participant will receive an official letter in the nearest future, and we ask everyone to give a prompt reply to it. Congratulations!!! We are happy to announce that film submissions to a selection 2018 is open. Looking forward to your films! We are now ready to announce the films which will compete for the KROK prizes this year. But before that a little bit of facts: We’ve received 972 films from 54 countries from all over the globe. This year the selection team was formed by: Svetlana Filippova, Svetlana Razgulyaeva, Andrey Zolotukhin, Michael Tumelya, Oleg Uzhinov and of course our program director Alik Shpilyuk. As a result of their cooperation 141 films (36 countries) were selected into KROK-2017 competition program. Please note the following changes. Due to circumstances beyond our control dates of the XXIV International Animated Film Festival were changed. Our good long-standing partner, Vodohod company has shorten the navigation time of their ships and suggested us the alternative dates of the festival cruise during a wonderful warm period - "velvet" season. We are happy to announce that this year KROK will take place from 13 to 21 September with the next itinerary: Moscow - Uglich - Myshkin - Petrozavodsk - Valaam Island - Saint Petersburg. We'll be glad to see all the friends and coleagues! 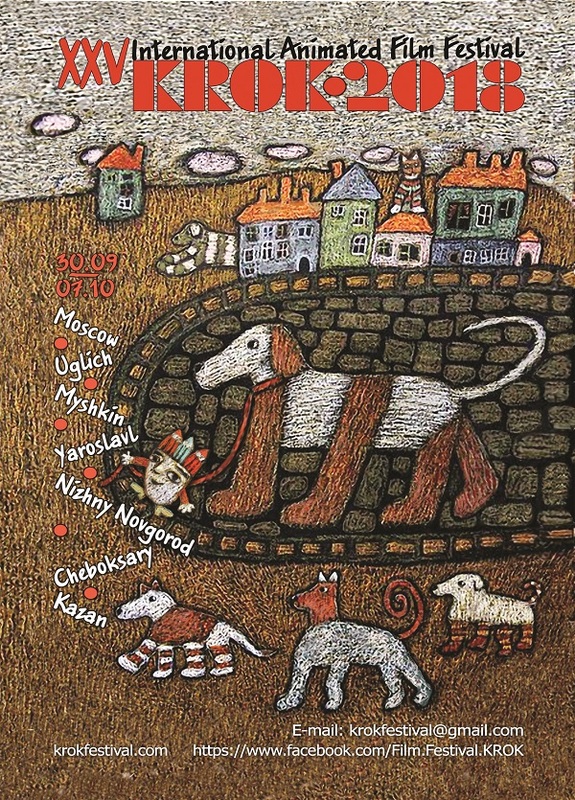 The 24th KROK International Animated Film Festival will be held from 13 to 21 of September 2015 in Russia along the route: : Moscow - Uglich - Myshkin - Petrozavodsk - Valaam Island - Saint Petersburg.